When Dom’s class is taken to hear a concert at Carnegie Hall, she expects to be bored out of her mind. But then she sees the boy in the front row playing violin like his life depends on it — and she is transfixed. Posing as an NYU student, Dom sneaks back to New York City to track down Ben Tristan, a magnetic genius who whisks her into a fantasy world of jazz clubs and opera, infatuation and possibility. Each sees something in the other that promises to complete them. As Dom’s web of lies grows, though, so does Ben’s obsessive need to conquer Beethoven’s famous Kreutzer Sonata. But Ben’s genius, which captivates Dominique, conceals a secret, and the challenges of her life may make it difficult to help him. I am stunned. I was not at all supposed to enjoy this one. I gave it a shot, since I received the physical copy of the book without my requesting it, but quite frankly my expectations were extremely low – for once. After all, it contains 1. insta-love, as well as quite a huge amount of 2. lying. 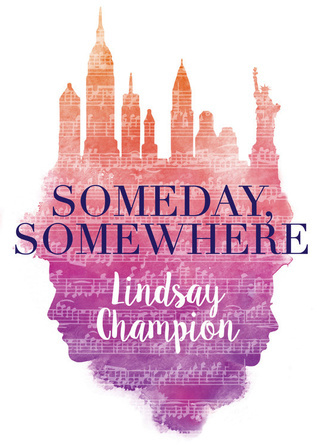 But it’s also very… romantic, and normally I tend to be bored when books focus on romantic relationships almost alone, but love and music mixed so well in this story that I couldn’t not feel my heart melt in my chest. Like many of you, I absolutely hate insta-love. I think it’s unrealistic and devoid of true romanticism. But in this case, Dom sees Ben for the first time at a concert, and while she is, of course, bewitched by his good looks, she’s also very much in awe of his musical talent. Same goes for Ben. He loves her physical appearance, but adores her mind and their common interests. It made me sway, I admit. I took in every sentence because the writing is simultaneously eloquent and lyrical. It contains enough figures of speech to make it possible for me to imagine the music Ben is hearing, but not too much that the story loses its grasp on reality. I certainly don’t condone all the lying that takes place, as I do value honesty in any relationship and both characters use too many of the excuses their minds come up with. Having said that, this is one of those love stories that are meant to teach you something – like beware of who you fall in love with. An impressive debut. Quite slow, so beware of that also, but believe me when I say the writing will move you tremendously. I love that cover! This sounds like an interesting book. I love when a book can make me love a trope I normally despise! I’m the odd one out here, but I like insta-love. I have a copy of this book sitting in my TBR pile and it sounds really cute. I’m glad to hear that you enjoyed it. I’ll make sure to read this one! I never seen this before. But, I love the cover and I love the premise!